Florence: Federico Bernardeschi and Gonzalo Higuain scored as Juventus went top of Serie A on Friday in a 2-0 win at Fiorentina overshadowed by a video assistant referee (VAR) fiasco. A decision to award a penalty to Fiorentina after 21 minutes when Juventus's Giorgio Chiellini's arm blocked a Marco Benassi cross was subsequently overturned after consultation with VAR. 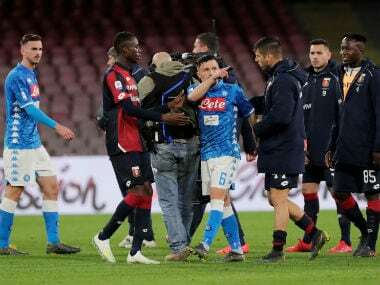 Jordan Veretout went up to take the spot-kick but after a three-minute viewing referee Marco Guida instead decided to award the visitors a free-kick for a supposed Benassi offside in the run-up. 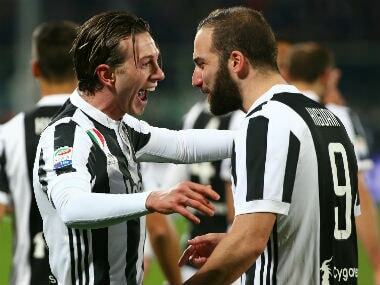 Emotions were already running high after the break when Italian midfielder Bernardeschi, who left the Tuscany side for Turin last summer, scored on his return to the Artemio Franchi Stadium for the first time as a Juventus player. 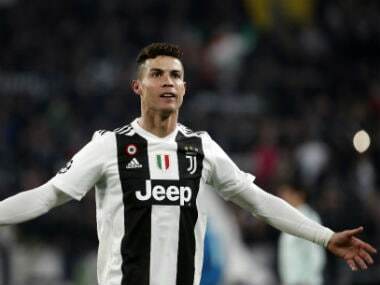 The 23-year-old curled in a free-kick after 56 minutes for his fourth goal in six Serie A games started for Juventus to break the deadlock. Bernardeschi was later substituted off to the whistles of the crowd. Higuain – the scorer of a hat-trick last weekend – sealed the win four minutes from time with his 14th Serie A goal this season and 50th for Juventus. 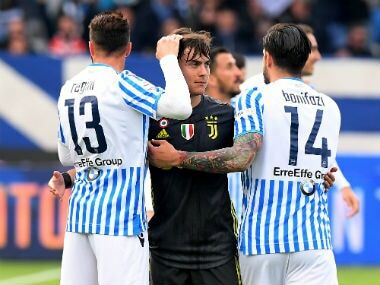 It was an important win for champions Juventus who now have 62 points from 24 games – two points ahead of Napoli – who can reclaim top spot when they host Lazio on Saturday. "It's never easy to win here, we didn't have an amazing game, but these matches are like that, it's a big step towards the Scudetto, I'm very happy for Bernardeschi," said Argentine Higuain. The first half had delivered little in the way of action as Stefano Pioli's team made life difficult for the visitors. Gil Dias broke clear down the right and hit the post as he tried to beat Gianluigi Buffon who was making his 500th Serie A appearance in goal. Despite going a goal down, Fiorentina did not give up with the evergreen Buffon, 40, denying Cyril Thereau from close range before Higuain closed down the match after 86 minutes for an 11th straight win in all competitions for his side. "I want to congratulate the lads because we are doing some positive numbers: 62 points and a goal (conceded) in the last 16 games," said coach Massimiliano Allegri who was also lining out in his 200th game for Juventus. "I was waiting for the referee's decision ... 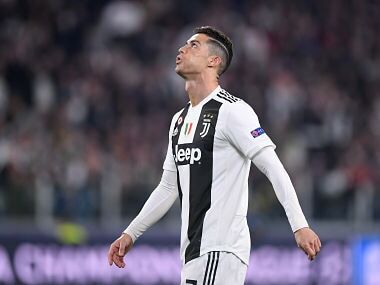 The wait was long and luckily the penalty was taken away, I thought there was a foul on the action before but then many other things are seen on TV," continued Allegri. "Now we must regroup for the Champions League. It would be nice to close down the Tottenham game in Turin but it will be very difficult, we'll have to play a careful game, they are a very physical and technical team and we'll have to do well," he added, looking ahead to next Tuesday's last-16 European clash. Fiorentina remain in 11th position on 31 points after their third loss in four games.